A life long supporter of Clapton FC, Lew comments on the trials, tribulations and successes of the East London outfit. 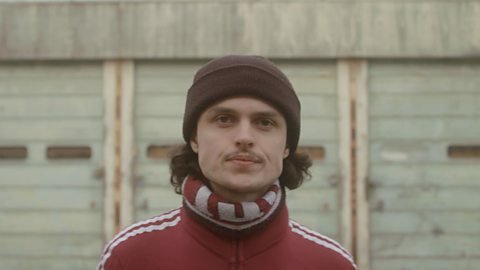 Last week a short documentary was released on the BBC3 website that told the tale of a West Ham supporter, Justin, who has turned his back on English football to follow an Italian 3rd division team which enjoys the support of a vociferous group of Ultras. In listing his reasons for this change of perspective, he mentioned that, prior to the decision, he had concluded that his support was no longer valued by the club and he felt like he was merely a ‘customer’. There is little doubt that, whilst the Ultras were at Clapton, attendances increased, and with it came a lot more income and, consequently, many other non league clubs in the area have been doing their best to attract similarly vociferous supporters in order to form their own version of the ‘Ultras’. For some time Non League football has presented itself as being the part of game in which supporters can be come actively involved in their club. Despite this, many clubs are still being run by a small group of people or just one individual, and are lacking the requisite numbers and expertise, whether that be in administration, matchday organisation or even in marketing the club. In recent seasons we have seen the increased number of clubs who have become fan owned, not least Clapton Community Football Club, where supporters decided to change their allegiance from Vincent McBean’s Clapton where they had been clearly and deliberately excluded, to enjoy active participation in a club in which they have a say in how it is run. This, despite they are now watching football that is a number of levels lower in the football pyramid. So, this brings me back to the BBC3 documentary. During the film, the young man visits the Dog and clips from various videos are shown in which the Clapton Ultras are seen in full voice, cheering on the lads in their inimitable style. Some of these clips are at least three years old and deliberately mislead the audience. The reality is that McBean FC's home matches have been sparsely attended since the home match boycott and the advent of CCFC. There is, however, a very short clip of a more recent match with McBean’s team playing in their new, non Clapton garb, with red shorts. It is devoid of any fan noise or chanting but is clearly designed to give the impression that the Ultras continue to support McBean FC. I am no investigative journalist, but one doesn't have to be Hercule Poirot to assemble enough accurate information so as not to be hoodwinked by the McBean, the Walter Mitty of Forest Gate (and of London SW4 - thank you to my sources). Unsurprisingly, this film has been criticised by many Clapton supporters including some of the old Ultras. They have a point, as it is an appalling piece of journalism which gives a totally misleading account of the present situation at McBean FC. Instead it gave the false impression that Clapton Ultras were still attending McBean FC matches, did not mention the boycott, the new fan owned club or the ongoing court case that was sparked by McBean’s attempt to liquidate the leaseholding Charity. Even more surprisingly, Justin, or the filmmakers failed to contact the Ultras to obtain their account. So what we were left is an unbalanced and misleading report. Had they done so, they would have become aware that the legacy of Clapton Ultras continues at the Stray Dog where Clapton CFC are setting an example to McBean, and other 'exclusively run' entities that aree passing off as 'clubs', in non league football. Matchdays are exciting and atmospheric, the players and supporters come together as a group in striving for victory (as they used to do before the boycott at the Old Spotted Dog) Most importantly, membership of the club is open to all, every member own a share in the club and can propose and/or vote on any motions or proposals put forward. Compare this with McBean's set up. The loudest sounds at matches comes from the dugouts and the players. He is flanked by other individuals who, whilst possibly well meaning, are being totally duped by the false persona he has developed in many years of his dodgy dealings. (Lets not forget the south London Charity from which he took nearly £500k). I need not mention the litany of failed and struck off limited companies using the name, and other variations, of Clapton Football Club. I was also interested to read a recent tweet from one the McBean FC team management who insisted the players were playing for them and not McBean. That, is not a club. The fact is that McBean FC amounts to a profit making entity from which only one person benefits (the licensed bar, rents from London Bari FC/Hackney Wick, Filming Shoots, The Tyre Warehouse etc). The players and team management are supporting this regime as they are a cog in that wheel and seem content to play their matches, amid the atmosphere of Sunday team on the Marshes, despite the obvious problems. It is a matter for their conscience alone. It is therefore very little wonder why Clapton Community Football Club was established. Since its inception it has managed to recreate, and even improve upon, the old, inclusive club that was Clapton Football Club before the arrival of McBean. CCFC has the support of all the Life Members of the old Clapton FC and, coupled with the enthusiasm and vision of the members and owners, there is every reason to be optimistic that they will return Clapton to its old standing in non league football. That standing not only includes matters on the field but, just as importantly, what happens off the field. I salute Clapton CFC on the sterling work they have done to overcome a variety of obstacles whilst remaining true to their principals. Sport should be for all to enjoy. The future will be interesting. The High Court case appears to be coming to a head and McBean is been known to bail out just before the axe falls (as he did with the South London charity). This decision will obvious impact upon the ground and its usage and ultimately McBean FC. I have long since given up on the idea that any of the purported governing bodies will intervene of their own volition. The Charity Commission, HMRC, The Essex Senior League, the Football Association etc. have all stood by and done very little. Upset with West Ham, Justin turned to Italian club Arezzo to find the passion he believes his old club lost. Commissioned by BBC Three for digital channels. Released and distributed by BBC Three, BBC Sport and Match of The Day social media channels.